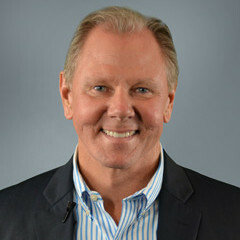 Jim Headlee is responsible for overseeing the strategy and direction of eBridge. He leverages three decades of experience in procurement strategies, negotiation, and consulting to bring foresight and depth to the eBridge team. As the founder and CEO of Summit Energy, Jim spent 17 years leading the organization’s explosive growth by developing energy solutions for Fortune 500 companies. Founded in 1991, Summit Energy became the market leader in its field, eventually employing more than 325 staff members across seven international offices. Every day at eBridge, our customers are receiving measurable savings from our full-service reverse auctions. Purchasing organizations across the US have become “raving fans” in how we fully manage their purchases. They value having a team of eBridge professionals engaged with them running the process, providing more supplier choices, and better pricing. What we do works and I sincerely hope you will speak with a member of our team to learn how we can get these results for you. Cindy Sisloff is responsible for managing all aspects of the business including new business development, marketing and brand strategies, and exceptional client experiences. Since joining eBridge in 2007, Cindy has held multiple leadership roles, including Vice President of Operations where she oversaw all reverse auctions. These roles allowed her to gain a broad knowledge of eProcurement in both the private and public sector. 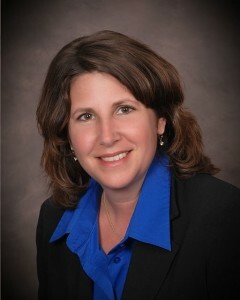 She has represented eBridge by presenting at conferences in the US & Canada including: Kentucky Public Procurement Association (KPPA), North Carolina School Board Association (NCSBA), South Carolina Association of Government Purchasing Officials (SCAGPO), Governmental Procurement Association of Georgia (GPAG), American Public Works Association’s (AWPA), International Public Works Expo, Police Fleet Expo, and National Association of College & University Food Services. She has also been a guest lecturer at her Alma Mater, Georgetown College. Prior to joining eBridge, Cindy had 15 years experience in the telecommunications industry. During that time, she worked with several Fortune 500 companies to create efficiency as well as improve internal processes through the adoption of technical solutions. She received several company achievement awards including, “Commitment to Excellence” and “Sustainable Impact.” Leveraging over 25 years of experience, she is positioned to drive business strategy and is dedicated to meeting the business needs of our clients and partners.